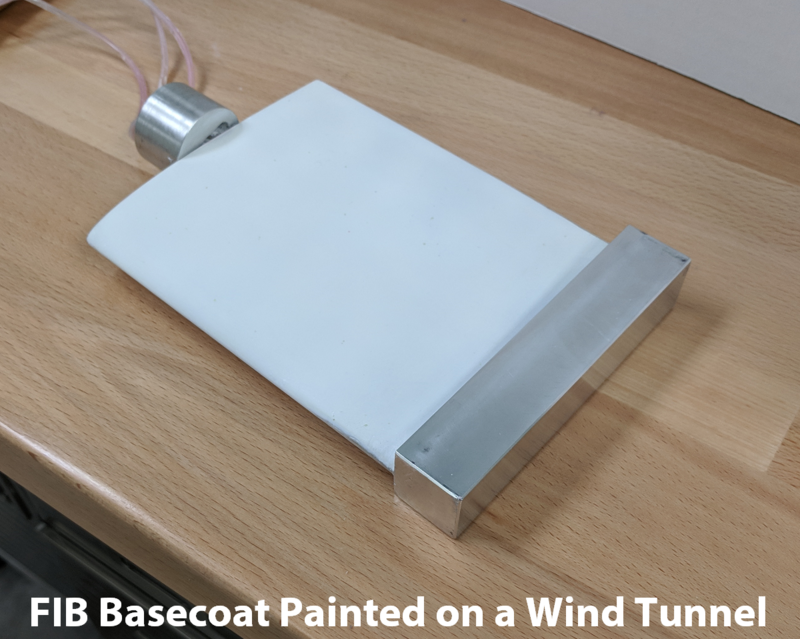 Base coatings are used with select pressure sensitive paints to provide a uniform, opaque background and to improve adhesion to the model surface. Base coatings are also used to mask imperfections on model surfaces or to protect certain materials from the solvents used in pressure sensitive paint. 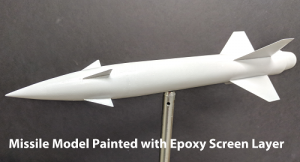 There are two recommended basecoat options: epoxy-based screen layer and FIB Basecoat™. The epoxy-based Screen Layer is a two part formulation designed to be applied to surfaces using conventional paint spraying equipment to mask machining marks and stains or to mask surfaces that fluoresce and interfere with PSP or TSP data. Screen layer also provides a uniformly reflective surface to minimize illumination errors and enhance the emission of PSP and TSP. Screen layer comes in two parts and is mixed 1:1. Screen Layer provides the highest quality surface screen layer without superior solvent resistance and improved opacity. The solvent resistance means PSP can be applied over it and removed many times without the need to reapply the screen layer each time. Screen Layer needs to be fully cured before the PSP is applied by curing at elevated temperatures (90C for 3 hours) or by allowing a few days to air cure to prevent the screen layer from interacting with the PSP and compromising data. Screen Layer is a permanent screen layer. Shelf life is 3-months. Surface coverage is approximately 1 square meter per liter. 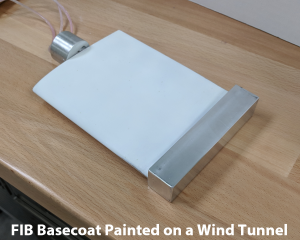 FIB Basecoat™ is a single application base coating that is sprayed onto a model surface with paint spraying equipment to mask machining marks and stains or to mask surfaces that fluoresce and interfere with PSP or TSP data. FIB Basecoat™ also provides a uniformly reflective surface to minimize illumination errors and enhance the emission of PSP and TSP. 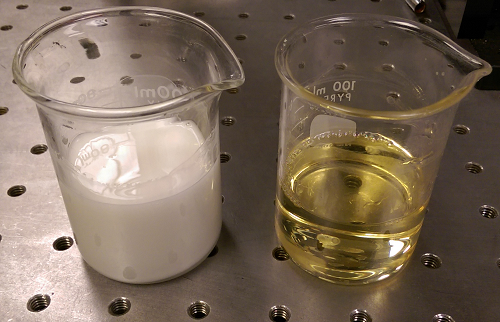 This formulation is recommended for surfaces where the base coating and PSP or TSP absolutely must be removed from the surface using common mild solvents.